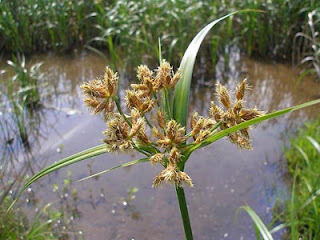 romantic grass of the week is bolboschoenus fliviatilis (or scirpus fluviatilis) river bulrush. its a common shallow water sedge// has a bristly bud.. River Bulrush is a zone hardy plant that has medicinal uses - the medicinal usage rating of River Bulrush is 1This plant was ranked 11th in a survey of 250 potential antifertility plants in China. Scirpus fluviatilis is a non flowering plant which is pollinated by Wind.